So cute Seongsook! Love that image! Makes me smile! Seongsook, your cards are always terrific! 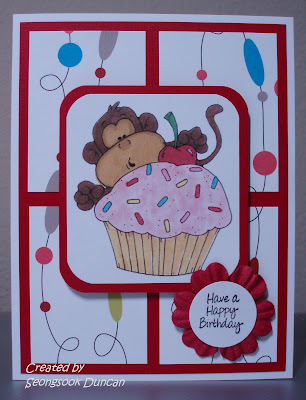 Cute monkey card. Thanks for sharing and I love your blog background.